Phew! It's been a while since the last bliss release. We've been mainly working on a bunch of things to make it easier to implement automatic rules. This release sees the framework implemented for the cover art rule only (other existing rules still have automation as an option). We've also got a bunch of bug fixes to release, so thought now would be a good time to get these out-there. 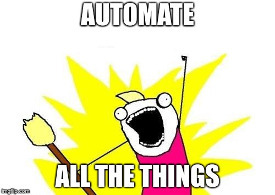 So what's the automation framework? Requests to make rules fully automatic are one of the most common requests we get. Before, automation was implemented for each rule, which meant there was a lot of duplication; not so much of the code itself, but more in the way the code behaved. Furthermore it was clear that the same settings user interface was being created again and again... basically an automate! checkbox. To be clear: we haven't added automation for any rule that didn't have it before. We'll begin to do that later. For now, the existing automatic rules are being ported to the new framework. Those Manual/Automatic buttons are generated by the framework so we no longer need to implement them separately for each rule. Hopefully this makes things much faster to develop going forward. The active rules list on the settings page is now laid out in a more rigid, table-like fashion. Don't always check tag types. Fix saving of track number padding. Handle blank disc numbers better. Allow more matches to be clicked multiple times to expand/collapse the matches. Don't redirect to an invalid page when changing album artists for an album. Order genres in the allowed genre consolidation rule purely alphabetically. If there are no genres permitted by the genre consolidation rule, don't allow any genre to be set. Handle albums with no tracks better in the file organisation rule. Self host all CSS, JS, fonts and other assets. Don't hardcode the root context for assets (this means we work better behind a reverse proxy). Accept single character literals in custom regex rules. You can download from the downloads page. After you click through, installation instructions are available on the page following download. I'm Dan, the founder and programmer of bliss. I write bliss to solve my own problems with my digital music collection. Thanks for signing up to the blog! Can you confirm the sign up in an email my server just sent to you? Receive one email per month. New to computer audio? Read the Music Library Management ebook! What's the best album art size? Read the latest news, as it's posted.